Rodgers underwent surgery to repair the broken collarbone he suffered against the Vikings last Sunday. While the operation was successful, according to Rodgers, he will still miss a large chunk of time, and likely the rest of the season. The Packers have placed the quarterback on injured reserve, meaning he will be out for at least eight weeks. Packers have placed QB Aaron Rodgers on injured reserve. Rodgers is the eighth Packers player to hit the IR this season. 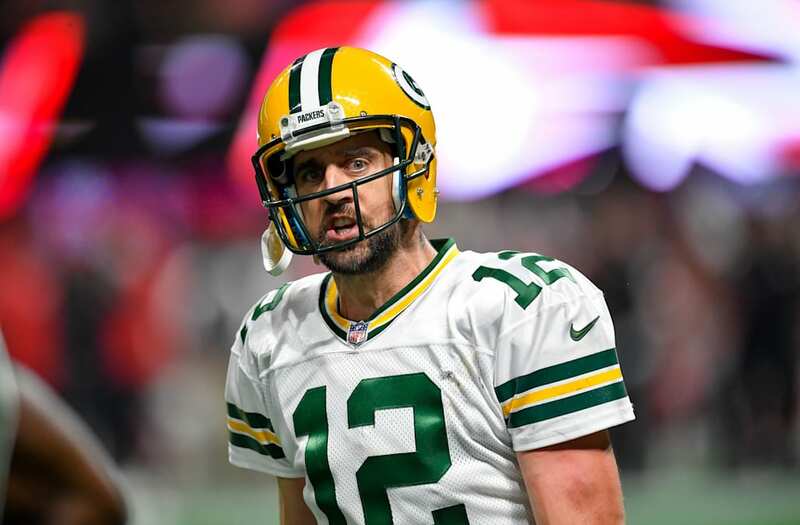 The Green Bay Press-Gazette reached out to an orthopedic specialist, who said the earliest Rodgers could potentially return is probably 10 weeks out. "If the Packers place Rodgers on injured reserve, he will miss at least eight weeks and likely longer. Earlier this week, an orthopedic specialist told PackersNews.com the soonest he would expect Rodgers to play in a best-case scenario is 10 weeks after the injury." That would mean Rodgers could play in the season’s second game against the Vikings on December 23, but again, that is the “best-case scenario.” If the Packers are out of the playoff hunt, or if Rodgers is not close to 100-percent, it seems extremely unlikely that the team would run him back out there that quickly. The post Report: Packers Have Placed Aaron Rodgers On Injured Reserve appeared first on The Spun.